David E. Wright, P. Eng. Dave was born and raised in Edmonton but has worked in Calgary and Toronto as well. He attained a Bachelor of Science in Electrical Engineering and a Bachelor of Commerce from the University of Alberta in 1972 and ‘73 respectively. His working career was in the energy industry where he worked the business side of his education even though he was hired as an engineer. Dave earned his private pilot’s license at age seventeen with the fantastic instruction of Hall of Fame Member Vera Dowling. He has owned three aircraft over the years since: a Piper J3 Cub, a Cessna 172 and a Cessna 206 and continued private flying for enjoyment until 2013. 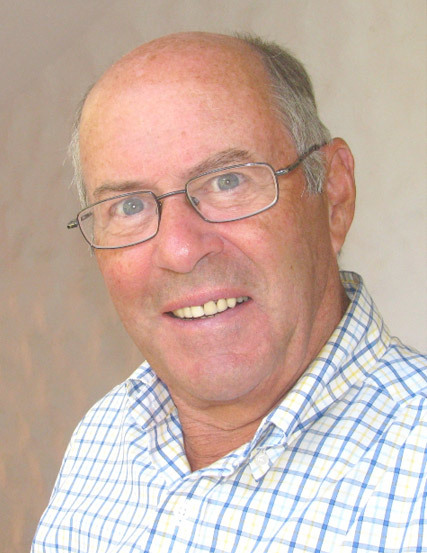 He has been a member of COPA since 1966. Dave’s volunteer work included sixteen years on the Board of Directors of the Edmonton Petroleum Club, President in 2000-01; six years on the Advisory Board of the Reynolds Alberta Museum, Chair in 2009-10; four years on the Board of Directors of the Edmonton Petroleum Golf and Country Club, President in 1998-2000. Although retired from regular work, Dave is a life member of the Association of Professional Engineers and Geoscientists of Alberta and a member of the Edmonton Petroleum Club. Served as a Director of the Hall for ten years. Has been a member of the Operations Committee for twenty years, thirteen years as Chairman and now Vice Chairman. Is Publisher/President of the Camrose Booster, a weekly Community Newspaper. Multi-term Director and Past President of the Independent Free Papers of America. 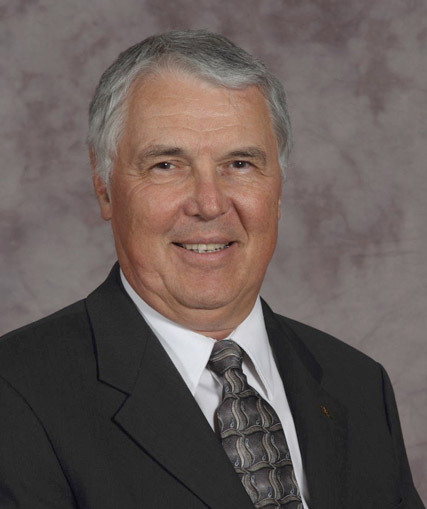 Founding Director and present past-chairman of the Battle River Community Foundation. Started in 1995, the Foundation now has endowments of $12M and has granted nearly $4.4M to worthwhile charitable projects since inception. Launched “Reading University” in 2009, a fun and exciting, month long, remedial reading program for Grade III children who are reading below grade level. In the 2017 cycle, eighty-eight students participated in this innovative, all-expense paid program. Feels privileged to work with the remarkably talented and dedicated people associated with the Hall, on the Board and OpsCom and thankful the opportunity to meet the Members of the Hall who have accomplished so much but remain so very approachable and down to earth; decent human beings, every one. Mary Oswald was born and educated in Alberta, and received her Master of Education degree from the University of Alberta. Most of her working career as teacher, principal and consultant was spent in Edmonton, and she also taught at the U of A. 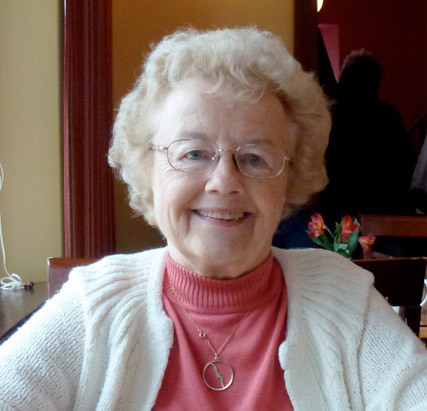 For four years she was co-editor of a teachers’ journal published by the ATA, and following retirement, spent seven years as supervisor for many student teachers during their practicums. She received her Private Pilot’s Licence in 1979, and shortly afterwards joined the “99’s”, an International Organization of Women Pilots. She became deeply committed to them, and served in all of the elected offices of the West Canada Section, including Governor. She was elected to the Board of Directors of the Alberta Aviation Council in 1986, and served as President in 1992-93. She was a long-time member of COPA (Canadian Owners and Pilots Association), and in 1998 was the co-coordinator of its very successful convention held in Edmonton. She also served for several years on the executive of the Edmonton Chapter of the Canadian Aviation Historical Society. Since 1996, Mary has been a member of the Alberta Operations Committee for Canada’s Aviation Hall of Fame. In the fall of 1998, she undertook the task of producing a new book about the Members of The Hall of Fame to commemorate its 25th anniversary. They Led the Way was the result of many hours of research and rewriting in an effort to bring the stories of the Members up-to-date with additional information and photographs. Thereafter, she produced the annual Updates to the book. These stories about newly inducted Members are now collected in binders as part of the set of They Led the Way. In 2005 she chaired the Induction Dinner Gala which was held in Edmonton. At this time she produced a detailed dinner program book which was given to each dinner guest, and began the tradition of producing a short biographical video on each new Member to be shown during the dinner. Both of these endeavours have proven to be very successful and are continued today. For the 2010 induction, Mary passed on these three major tasks to John Chalmers, who became The Hall’s new historian. She now serves as editor of The Hall’s newsletter, The Flyer. The trend today seems to be “in my hey-day” when pictures are published in BIO’s. In keeping with that trend, my picture was taken in the cockpit of a CF104 Starfighter at Marville, France, 1964. 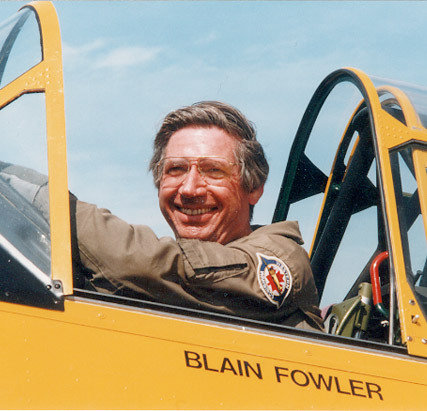 I joined the RCAF in 1953 and after training on Chipmunks and Harvards, spent eight years on the F86 Sabre, four years on the CF104 Starfighter and two years on the CF5 Freedom Fighter. In 1970 Mother Nature downgraded my eyesight to “no more jet fighters” and I was posted to Ottawa for six years in Information Technology. From there I flew the Convair 580 (Cosmo) with 412 VIP Squadron as a VIP Captain until retirement from the military in 1980. I then took an Information Technology position with the Federal Public Service and retired in 1995. In 2002 I moved “West” and in 2007 joined the Operation Committee of CAHF. Between then and now I have served on the Operations Committee, as a National Director and as National Vice Chairman.. In the past six years I have had the privilege of meeting many Members and Friends of the “HALL”. Although flying has to be the best “job” of my career, association with the fabulous and knowledgeable people involved in the total operation of the HALL comes a close second. Margaret has long been fascinated with, and worked in Canada’s north. She came to Edmonton in 1953 when her Family came west with Canadian National Railways. She took teacher training at the University of Alberta, taught school in Edmonton for a year then taught at Norway House Manitoba, and later in London, Ontario. She now works with a school in Edmonton helping students with reading. Margaret has worked with the United Church of Canada for many years as a Christian Education Director (in Montreal), as Executive Director of Robertson-Wesley in Edmonton. 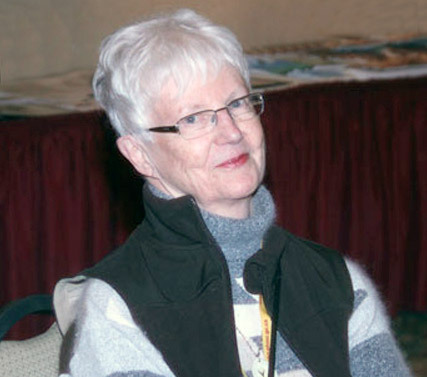 Marg served for 20 years as Secretary of Edmonton Presbytery, and on several Presbytery committees and at her local Church (and was honoured by appointment as Secretary Emeritus of Edmonton Presbytery). Marg is a graduate of the Volunteer Management Program at Grant MacEwan College, Edmonton. She has volunteered at her local elementary school for over 20 years helping children with reading skills. Margaret has also had a long involvement with Canadian Scouting, serving as a volunteer for 35 years, working as the Public Relations Director and later as a senior trainer with both the N.W.T. Council and Northern Alberta Council - she has been awarded the United Church Scouting Award, the Medal for Good Service, Medal of Merit & Bar for her especially good service to Scouting & the 35 year Long Service Award. In 2005 Margaret was awarded the Alberta Centennial Medal in recognition of her volunteer efforts. Denny has had a long association with aviation in Northern Canada - his first flight was in 1935 with his father W. R. Wop May. Denny has been involved with Scouting since 1943, as a youth member and leader before joining the Executive Staff where he was Executive Director for both the Northern Alberta Region and the N.W.T. Scout Council. He holds Scouting’s Long Service Award (60 years). When he retired in 1995 he was presented (by the Governor General) the Silver Maple Leaf - the top Scouting award. In 1992 he was presented with the Canada 125 Medal, in 2003 the Queen’s Golden Jubilee Medal and in 2012 with the Queen’s Diamond Jubilee Medal. Denny has maintained a long interest in the north and in aviation. 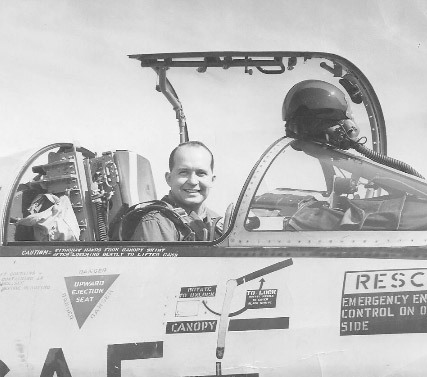 He earned his Private Pilot’s License in 1952 and continued to fly until 1980. 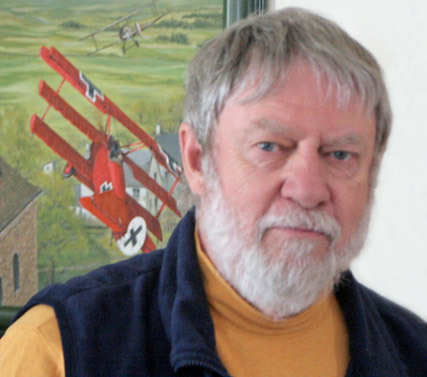 He has done much research into Canadian Aviation, and has written & published “Air Mail in Alberta”, “More Stories About Wop May” and is Co-author of “Wings of a Hero - Ace Wop May” (with the late Sheila Reid) and “Captain A. Roy Brown” (with the late Allan Bennett). In 2002 Denny was honoured with an Associate Life Membership in the Para Rescue Association of Canada. Denny continues to volunteer as chair of the Western Chapter of the Canadian Aerophilatelic Society. Aja spent her childhood ‘’helping’’ her family farm the river banks of the North Saskatchewan River. She not only watched the cultivation of crops, but cultivated a passion for local history and wanting to preserve it. After roaming around and helping her family farm the river banks of the North Saskatchewan River for eighteen years, Aja jumped on an airplane and headed for Sackville, New Brunswick to attend Mount Allison University. She pursued a Bachelor of Arts Degree with a Major in Art History and a Double Minor in Anthropology (Archaeology) and Religious Studies. Prior to convocation with the Class of 2012, Aja worked at the university campus Owens Art Gallery and attended archaeological digs in Belize. Both work spaces introduced her to the concept of collections care/management, and object conservation. In 2014, Aja took another flight across the pond when she was accepted into Durham University’s Masters in the Conservation of Archaeological and Museum Objects. Her time was spent on campus in the Durham University Archaeological Services Conservation Laboratory and at the university affiliated Oriental Museum. Having spent nearly a decade away from home and seeing the world, Aja decided it was time to return to Western Canada. She is now the Collections Manager for Canada’s Aviation Hall of Fame. 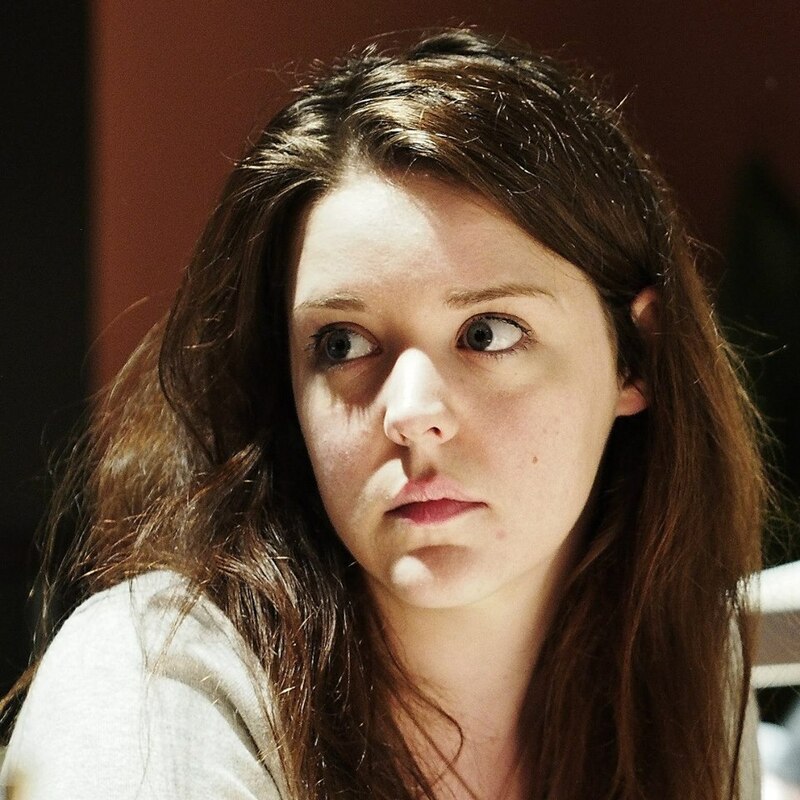 Katherine Simunkovic grew up in Beaumont, Alberta a small town just south of Edmonton. 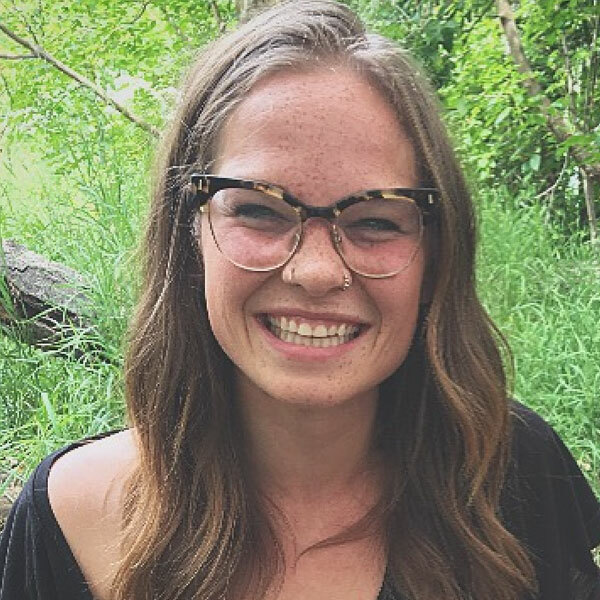 After graduated from high school in Beaumont, Katherine went on to Grant MacEwan University where she took a Bachelor of Arts Degree double majoring in History and Anthropology. Throughout her degree Katherine was able to take part in two separate placement opportunities that both equally contributed to her passion of Canadian history and its preservation. The first placement was in the Telephone Historical Center where she had the opportunity to work alongside the curator in accessioning and maintaining their historical collection. This placement in particular was important for Katherine in solidifying her desire to work in museums and with historical collections. Her second placement was an archaeological opportunity in the Mill Creek Ravine in Edmonton, Alberta where she worked to uncover the old Vogel's Meat Packing Plant that shut down in the early 1900s. Though archaeology was not the end goal for Katherine, the opportunity to uncover history, in the most literal meaning of the phrase, and learn more about the development of Edmonton was one of her favorite experiences throughout her degree. Following her graduation from MacEwan University Katherine went on to take an internship with Canada's Aviation Hall of Fame as an Assistant to the Collection's Manager. This position allowed her to work directly with the Historical Collection at CAHF, as well as learn how to provide tours for guests and programming for school field trips through the Reynolds Alberta Museum. Following her internship with CAHF she has returned to take on the position as Collection Manager.